At St Mary’s keeping the children safe while they learn is our top priority and we would like the school community to have a clear understanding about what we mean by staying safe. Mrs Richmond - KS1 leader, Mrs K Ridall - SENCO, Mrs C Duhamel-Newton - Senior Teacher. Our Online Safety lead is Mr A Cook . 'Early Help' describes the type of early intervention and support that can be provided when a child or young person's needs are not being met by routine comprehensive services, but do not meet the threshold for a specialist service such as Children's Social Care. The Early Help Offer is about working with external and internal partners to help children, young people and families deal with their issues as early as possible; providing information, advice and services at the right time; supporting them to resolve their concerns as needs emerge. 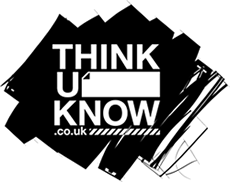 If you would like to find out more please click on the thinkyouknow button and if you would like advice or to report a concern please click on the CEOP button.